Hello people of the internet!!! On today’s ‘YouTube Wednesday’ we’re going to talk about an AMAZING new singer that will quickly become one of your favorite new YouTube stars. If you haven’t heard of Emma Heesters then please keep reading, because she will quickly take over your playlists. As soon as you hear Emma, you will instantly become mesmerized by her voice, and will anxiously await her new covers. So if you want to become a fan of the new YouTube singer that all your friends are going to become obsessed with, then please read on. Ready? Ok, let’s go!!! The first video that we’re going to talk about is Emma’s cover of ‘Payphone’ by Maroon 5, which was uploaded on February 28th, 2014 (you can check it out below). I thought that this was a great song to kick things off with because it shows off Emma’s vocal range, and instantly make you interested in her channel. The next video that we’re going to talk about is Emma’s rendition of ‘Love Me Like You Do’ by Ellie Goulding from the ’50 Shades of Grey’ soundtrack, which was uploaded on January 9th, 2015. This cover really shows that Emma is not only able to handle the vocal demands of a song, but also the emotional demands. In this cover Emma leaves you spellbound by making you feel as if she means every lyric. The next video that we’re going to discuss is Emma’s cover of ‘I Want You To Know’ by Zedd feat. Selena Gomez. This was another amazing cover, that just cemented the fact that Emma is able to cover any song and make it entertaining, and completely captivating every time. The final cover that we’re going to talk about is Emma’s cover of ‘Flashlight’ by Jessie J from the ‘Pitch Perfect’ soundtrack, which was uploaded on June 10th, 2015 (you can check it out below). This is another song that not only requires great vocal talent, but also the ability to make us feel the emotions behind the lyrics of the song. 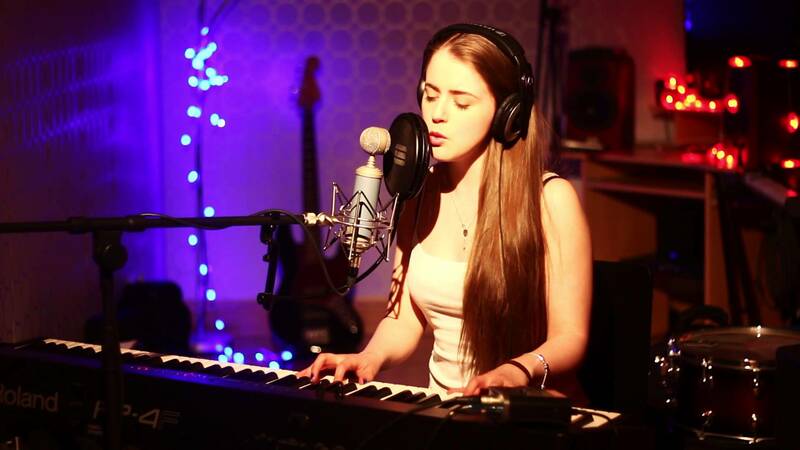 Through this cover, Emma proves that she is a true entertainer that is ready to takeover our radio airways. All credit goes to YouTube, Instagram, emmaheesters.com, Facebook, Maroon 5, A&M Octone Records, Adam Levine, Benjamin Levin, Ammar Malik, Dan Omelio, Shellback, Cameron Thomaz, Benny Blanco, Robopop, Cherrytree Records, Interscope Records, Republic Records, Savan Kotecha, IIya Salmanzadeh, Ali Payami, Tove Nilsson, Anton Zaslavski, Ryan Tedder, Kevin Nicholas Drew, Zedd, Sia Furler, Christian Guzman, Jason Moore, Sam Smith, Pitch Perfect 2, Fifty Shades of Grey, Sam Taylor-Johnson, Michael De Luca, Dana Brunetti, E.L. James, Michael De Luca Productions, Trigger Street Productions, Universal Pictures, Focus Features, Danny Elfman, Elizabeth Banks, Paul Brooks, Key Cannon, Max Handelman, Jeff Levine, Jason Moore, Mark Mothersbaugh, Gold Circle Films, Universal Pictures, all of the businesses, companies, people, and any other original owners involved and/or mentioned in any of these videos and/or hauls, any and all companies, individuals, and/or businesses that should receive credit for anything mentioned in this blog post, and all original owners. I do not own anything in this blog. If any people, corporations, businesses, companies, etc, were not previously given credit for their work, they are given credit now and their previous absence was unintentional. All opinions expressed in this blog are my own. I wrote this blog for entertainment purposes and no copyright infringement is intended. celindareyesblog August 13, 2015 No Comments on YouTube Wednesday: Emma Heesters…the new YouTube star that has your favorite music covered. Category: YouTube Wednesday. Tagged: A&M Octone Records, Adam Levine, Ali Payami, Ammar Malik, Anton Zaslavski, Benjamin Levin, Benny Blanco, Cameron Thomaz, cherrytree records, Christian Guzman, Dan Omelio, Dana Brunetti, Danny Elfman, E.L. James, Elizabeth Banks, emmaheesters.com, facebook, Fifty Shades of Grey, Focus Features, Gold Circle Films, IIya Salmanzadeh, instagram, Interscope Records, Jason Moore, Jeff Levine, Kevin Nicholas Drew, Key Cannon, Mark Mothersbaugh, maroon 5, Max Handelman, Michael De Luca, Michael De Luca Productions, movies, music, Paul Brooks, pitch perfect, Pitch Perfect 2, republic records, Robopop, Ryan Tedder, Sam Smith, Sam Taylor-Johnson, Savan Kotecha, Shellback, Sia Furler, Tove Nilsson, Trigger Street Productions, Universal Pictures, youtube, zedd.